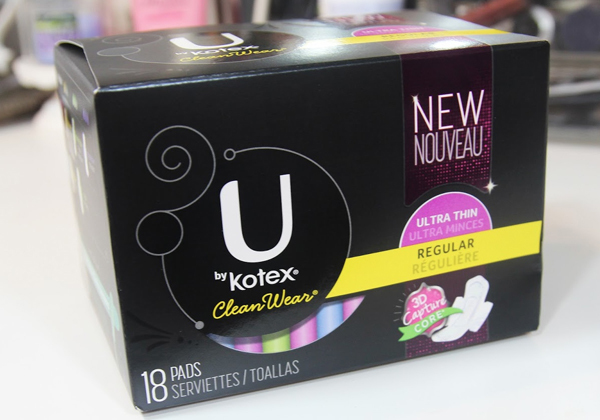 I love U Kotex as well! Besides being packaged in a nice sturdy box (instead of flimsy plastic that gets misshapen and sometimes can harm the pads themselves), they are individually packaged pretty, are affordable, and you are correct in they are thin and absorbent. For so long you could only get one or the other. Since high school for me, it seemed you had to find the largest pad possible in order for any absorbing. I absolutely love this brand! I was not, however, aware of the 3D core ones they have out now. Totally signed up for a free sample of those. I'm sure they will be just as awesome as their other products -- pads, tampons, feminine wipes, etc!